Yamaha keyboard stools are available in a selection of colours to match the range of Yamaha digital pianos and keyboards. The L2C keyboard stand from Yamaha is one of the most popular accessories. Use the links below to get the best deal on the Yamaha L-2C stand. 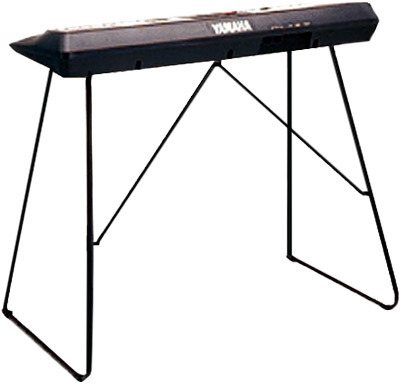 Yamaha L2C portable keyboard stand. This bolt-on keyboard stand offers maximum stability for your Yamaha keyboard. Compatible with PSR keyboards models PSRE203, PSRE303, PSRE313, PSRE223, PSRE233, PSRE323, PSRE333 and PSRE423, also suitable for the EZ-200, YPT-200, YPT-210 along with the DJX models. This stand can also be used on the NP-11, NP-31, NPV60, NPV80 Piaggero series, piano style keyboards and the NP-30 Portable Grand keyboard.